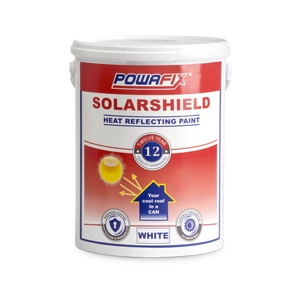 Powafix has used 25 years of experience to provide the Professional Tradesman with an affordable paint solution. 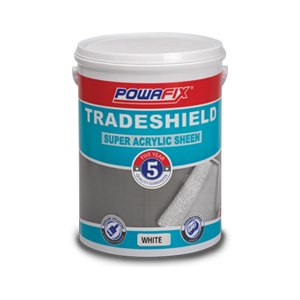 Powafix Tradeshield’s Super Acrylic range offers a quality, high opacity and long lasting finish. 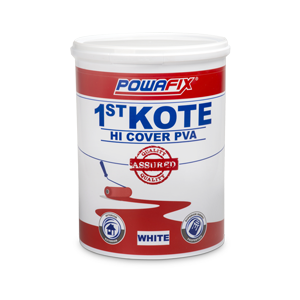 This easy-to-apply paint assures its quality by providing you with a unique 3 year quality guarantee. 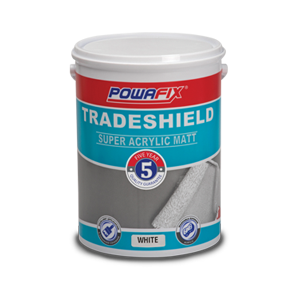 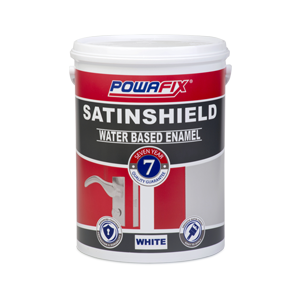 Never apply Powafix Tradeshield over any material that may adversely affect the adhesion of the paint.